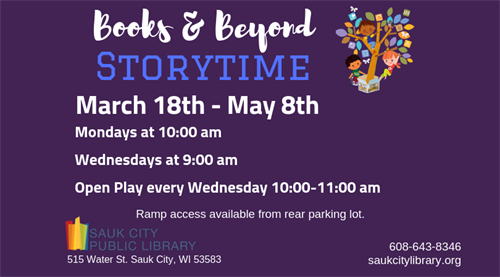 Stories, songs, and activities are offered to children ages 5 and younger with their caregiver in the library's lower level. Sessions last approximately 40 minutes. Stories and songs take the first 20 minutes with 20 minutes of various activities.